1 x MACAO National polyester table flag with chrome pin and base. 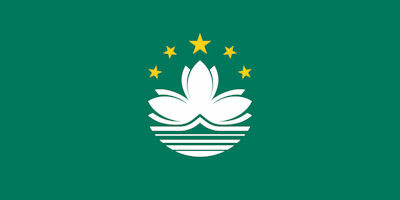 1 x MACAO National 15cm x 7.5cm flag sticker for internal or external use. 10 x MACAO National Paper hand waving flags 21x12cm with stick. 5' x 3' MACAO National lightweight polyester novelty flag with brass eyelets. 1 x MACEDONIA National polyester table flag with chrome pin and base. 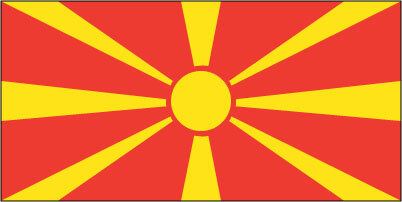 1 x MACEDONIA National 15cm x 7.5cm flag sticker for internal or external use. 10 x MACEDONIA National Paper hand waving flags 21x12cm with stick. 5' x 3' MACEDONIA National lightweight polyester novelty flag with brass eyelets. 1 x MADAGASCAR National polyester table flag with chrome pin and base. 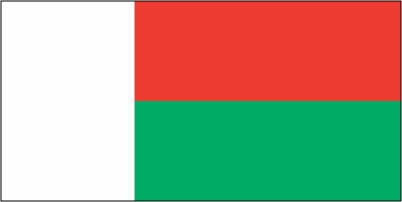 1 x MADAGASCAR National 15cm x 7.5cm flag sticker for internal or external use. 10 x MADAGASCAR National Paper hand waving flags 21x12cm with stick. 5' x 3' MADAGASCAR National lightweight polyester novelty flag with brass eyelets. 1 x MADEIRA Islands polyester table flag with chrome pin and base. 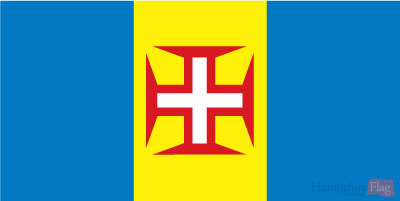 1 x MADEIRA Islands 15cm x 7.5cm flag sticker for internal or external use. 10 x MADEIRA Islands Paper hand waving flags 21x12cm with stick. 5' x 3' MADEIRA Islands lightweight polyester novelty flag with brass eyelets. 1 x Maine State (ME) polyester table flag with chrome pin and base. 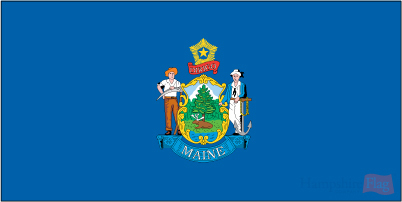 1 x Maine State (ME) 15cm x 7.5cm flag sticker for internal or external use. 10 x Maine State (ME) Paper hand waving flags 21x12cm with stick. 5' x 3' Maine State (ME) lightweight polyester novelty flag with brass eyelets. 1 x MALAWI National polyester table flag with chrome pin and base. 1 x MALAWI National 15cm x 7.5cm flag sticker for internal or external use. 10 x MALAWI National Paper hand waving flags 21x12cm with stick. 5' x 3' MALAWI National lightweight polyester novelty flag with brass eyelets. 1 x MALAYSIA National polyester table flag with chrome pin and base. 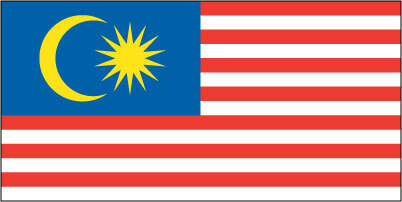 1 x MALAYSIA National 15cm x 7.5cm flag sticker for internal or external use. 10 x MALAYSIA National Paper hand waving flags 21x12cm with stick. 5' x 3' MALAYSIA National lightweight polyester novelty flag with brass eyelets. 1 x MALDIVES National polyester table flag with chrome pin and base. 1 x MALDIVES National 15cm x 7.5cm flag sticker for internal or external use. 10 x MALDIVES National Paper hand waving flags 21x12cm with stick. 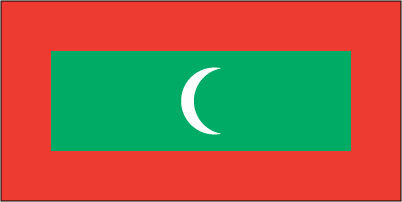 5' x 3' MALDIVES National lightweight polyester novelty flag with brass eyelets. 1 x MALI National polyester table flag with chrome pin and base. 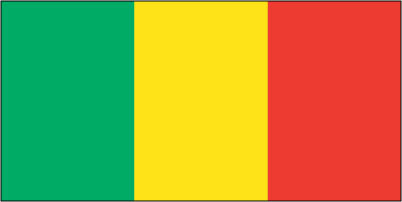 1 x MALI National 15cm x 7.5cm flag sticker for internal or external use. 10 x MALI National Paper hand waving flags 21x12cm with stick. 5' x 3' MALI National lightweight polyester novelty flag with brass eyelets. 1 x MALLORCA Island ( Spain ) polyester table flag with chrome pin and base. 1 x MALLORCA Island ( Spain ) 15cm x 7.5cm flag sticker for internal or external use. 10 x MALLORCA Island ( Spain ) Paper hand waving flags 21x12cm with stick. 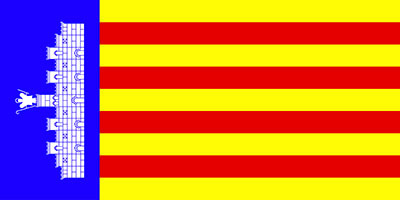 5' x 3' MALLORCA Island ( Spain ) lightweight polyester novelty flag with brass eyelets. 1 x MALTA National polyester table flag with chrome pin and base. 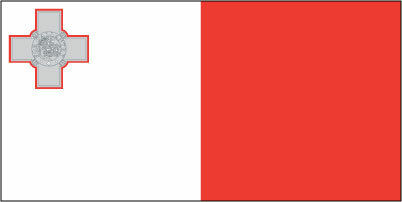 1 x MALTA National 15cm x 7.5cm flag sticker for internal or external use. 10 x MALTA National Paper hand waving flags 21x12cm with stick. 5' x 3' MALTA National lightweight polyester novelty flag with brass eyelets. 1 x MANCHESTER DIOCESE polyester table flag with chrome pin and base. 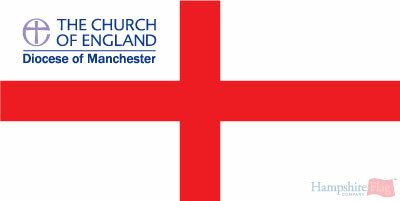 1 x MANCHESTER DIOCESE 15cm x 7.5cm flag sticker for internal or external use. 10 x MANCHESTER DIOCESE Paper hand waving flags 21x12cm with stick. 5' x 3' MANCHESTER DIOCESE lightweight polyester novelty flag with brass eyelets. 1 x Maritime Volunteer Service Ensign polyester table flag with chrome pin and base. 1 x Maritime Volunteer Service Ensign 15cm x 7.5cm flag sticker for internal or external use. 10 x Maritime Volunteer Service Ensign Paper hand waving flags 21x12cm with stick. 5' x 3' Maritime Volunteer Service Ensign lightweight polyester novelty flag with brass eyelets. 1 x MARSHALL ISLANDS National polyester table flag with chrome pin and base. 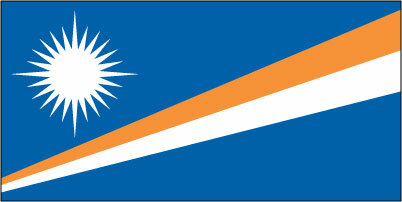 1 x MARSHALL ISLANDS National 15cm x 7.5cm flag sticker for internal or external use. 10 x MARSHALL ISLANDS National Paper hand waving flags 21x12cm with stick. 5' x 3' MARSHALL ISLANDS National lightweight polyester novelty flag with brass eyelets. 1 x Martinique Islands polyester table flag with chrome pin and base. 1 x Martinique Islands 15cm x 7.5cm flag sticker for internal or external use. 10 x Martinique Islands Paper hand waving flags 21x12cm with stick. 5' x 3' Martinique Islands lightweight polyester novelty flag with brass eyelets. 1 x Maryland State (MD) polyester table flag with chrome pin and base. 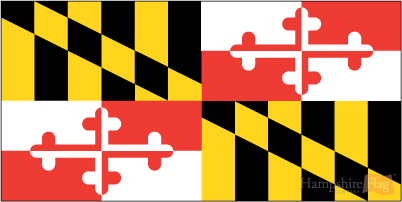 1 x Maryland State (MD) 15cm x 7.5cm flag sticker for internal or external use. 10 x Maryland State (MD) Paper hand waving flags 21x12cm with stick. 5' x 3' Maryland State (MD) lightweight polyester novelty flag with brass eyelets. 1 x Massachusetts State (MA) polyester table flag with chrome pin and base. 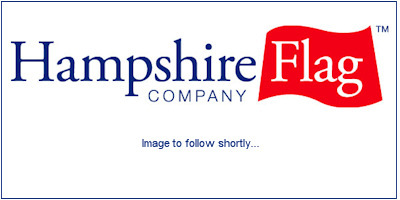 1 x Massachusetts State (MA) 15cm x 7.5cm flag sticker for internal or external use. 10 x Massachusetts State (MA) Paper hand waving flags 21x12cm with stick. 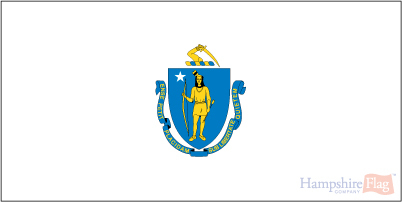 5' x 3' Massachusetts State (MA) lightweight polyester novelty flag with brass eyelets. 1 x Master-Slave Pride polyester table flag with chrome pin and base. 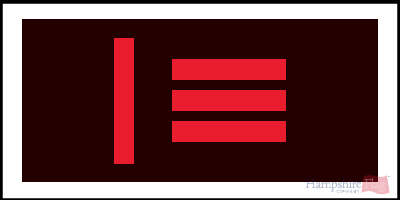 1 x Master-Slave Pride 15cm x 7.5cm flag sticker for internal or external use. 10 x Master-Slave Pride Paper hand waving flags 21x12cm with stick. 5' x 3' Master-Slave Pride lightweight polyester novelty flag with brass eyelets. 1 x MAURITANIA National polyester table flag with chrome pin and base. 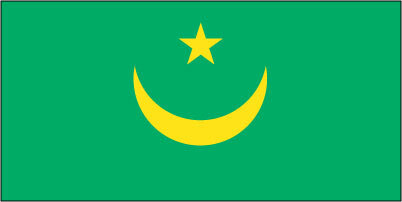 1 x MAURITANIA National 15cm x 7.5cm flag sticker for internal or external use. 10 x MAURITANIA National Paper hand waving flags 21x12cm with stick. 5' x 3' MAURITANIA National lightweight polyester novelty flag with brass eyelets. 1 x MAURITIUS National polyester table flag with chrome pin and base. 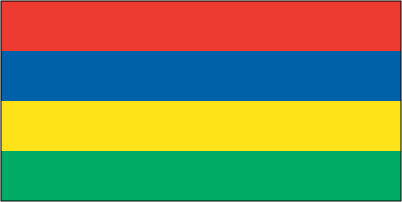 1 x MAURITIUS National 15cm x 7.5cm flag sticker for internal or external use. 10 x MAURITIUS National Paper hand waving flags 21x12cm with stick. 5' x 3' MAURITIUS National lightweight polyester novelty flag with brass eyelets. 1 x Mercian Regiment polyester table flag with chrome pin and base. 1 x Mercian Regiment 15cm x 7.5cm flag sticker for internal or external use. 10 x Mercian Regiment Paper hand waving flags 21x12cm with stick. 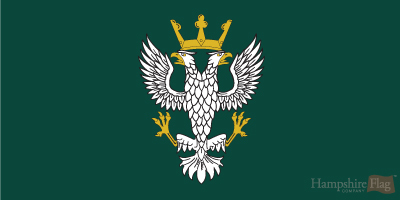 5' x 3' Mercian Regiment lightweight polyester novelty flag with brass eyelets. 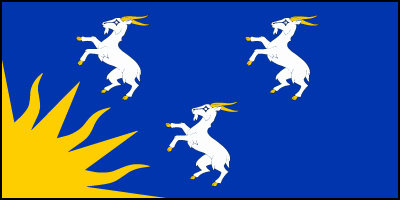 1 x Merioneth County polyester table flag with chrome pin and base. 1 x Merioneth County 15cm x 7.5cm flag sticker for internal or external use. 10 x Merioneth County Paper hand waving flags 21x12cm with stick. 5' x 3' Merioneth County lightweight polyester novelty flag with brass eyelets. 1 x MERRY CHRISTMAS ( BLUE ) polyester table flag with chrome pin and base. 1 x MERRY CHRISTMAS ( BLUE ) 15cm x 7.5cm flag sticker for internal or external use. 10 x MERRY CHRISTMAS ( BLUE ) Paper hand waving flags 21x12cm with stick. 5' x 3' MERRY CHRISTMAS ( BLUE ) lightweight polyester novelty flag with brass eyelets. 1 x MERRY CHRISTMAS ( RED ) polyester table flag with chrome pin and base. 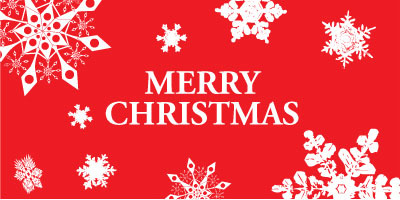 1 x MERRY CHRISTMAS ( RED ) 15cm x 7.5cm flag sticker for internal or external use. 10 x MERRY CHRISTMAS ( RED ) Paper hand waving flags 21x12cm with stick. 5' x 3' MERRY CHRISTMAS ( RED ) lightweight polyester novelty flag with brass eyelets. 1 x Merseyside County polyester table flag with chrome pin and base. 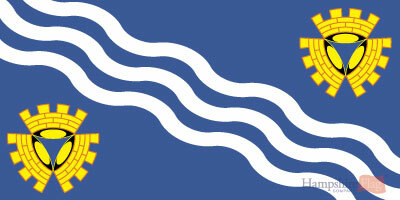 1 x Merseyside County 15cm x 7.5cm flag sticker for internal or external use. 10 x Merseyside County Paper hand waving flags 21x12cm with stick. 5' x 3' Merseyside County lightweight polyester novelty flag with brass eyelets.